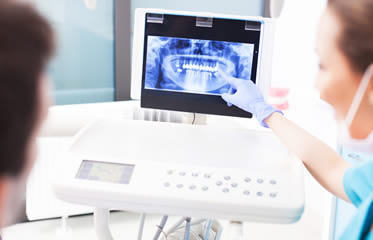 Digital x-rays allow Dr. Muradian to get a much better view of your teeth and potential dental conditions. The digital imaging software allows Dr. Muradian to see a number of different views of the tooth to gain a better understanding of the proper course of management. Digital x-rays provide a great benefit to the patient. Not only are they an excellent diagnostic tool, but they decrease radiation to the patient by over 80%.